The countdown to the next European Parliament elections has begun. They are an opportunity to change the way we do politics in Europe, to become more inclusive, turn under-representation into equal representation and ultimately increase the trust in our political leaders. Will European political parties accept the challenge? Luis Alvarado writes. The tone of UK Shadow Foreign Secretary William Hague's 21 July speech to the International Institute for Strategic Studies in London "takes us back to Winston Churchill's image of Britain at the centre of three concentric circles: transatlantic, Commonwealth and European - a world that no longer exists," writes Stanley Crossick, founder of the European Policy Centre, in a July post on Blogactiv. In light of the election results, the new European Parliament will be less in favour of further enlarging the EU, more conservative and 'stingy' in terms of EU budget resources, more conservative on CAP-related issues and possibly more divided over fundamental rights-related issues, argues a June paper from the European Policy Centre (EPC). But the new EU assembly will be more engaged on climate change-related issues and legislation and ever-more focused on foreign and security policy matters," it adds. "[European Commission President José Manuel] Barroso will have to tread carefully in selecting candidates for a new college," writes Michael Berendt, a former European Commission official and current public affairs advisor, in a June post on Blogactiv. "Should Europe be a coalition of states or examine the ability to manage in a common and federal manner its currency, its environment, its energy, its safety, its welfare and its economic development?," asks Emmanuel Morucci, a French sociologist and member of the 'Team Europe-France' network, on his blog. 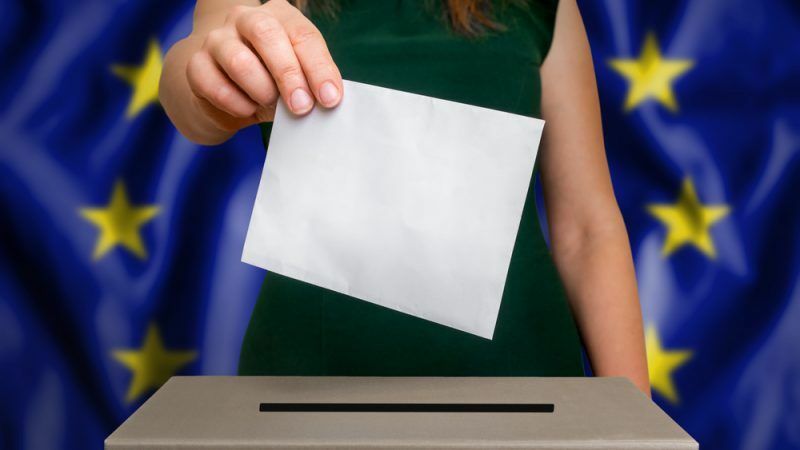 "The significance of the European elections for domestic politics should not be over-estimated," writes Aaretti Siitonen, a researcher at the Finnish Institute of International Affairs, in a May paper. The European Parliament needs to produce a majority in 2009 because there are "so many reasons for change," writes Poul Nyrup Rasmussen, president of the Party of European Socialists (PES), in a post on Blogactiv. "Bringing citizens closer to Europe (and not bringing Europe closer to citizens) is the biggest challenge" of the upcoming elections to the European Parliament, argues Nicolaus Heinen of Deutsche Bank Research in an April paper. "The emergence of a new economic and political divide within Europe has become a distinct possibility," argue Jean Pisani-Ferry, director of the Bruegel think tank, and Zsolt Darvas, research fellow at the Institute of Economics of the Hungarian Academy of Sciences, in a December 2008 paper for Bruegel. The British Eurosceptic press constitutes a "serious problem" for any British government that tries to engage with the EU, argues Charles Grant, director of the London-based Centre for European Reform, in a December 2008 paper. The only viable option for the Irish government to resolve the Lisbon Treaty crisis is "to hold a second referendum on the substantive question of whether or not Ireland remains a member state of the EU," writes John O'Brennan, a lecturer on European politics and society at the National University of Ireland, in an October paper for the Centre for European Policy Studies (CEPS). The Lisbon Treaty: Playing Presidential poker? The Treaty of Lisbon will change the way European politicians govern and cooperate in the future, says Dominik Hierlemann of the Bertelsmann Stiftung. But with unclear definitions of the new leadership roles, the top EU positions could prove confusing for the bloc's citizens, he warns in a March paper. In this paper for the Robert Schuman Foundation, Thierry Chopin and Jean-François Jeannet explore the available options for distributing seats in the European Parliament, aiming to determine which best satisfies both democratic and diplomatic issues. In this ZEI discussion paper, Professor Ludger Kühnhardt puts forward the idea that the current crisis of the EU could be a real chance for a new foundation of the EU to make it more appealing to its citizens. Carola Hein, associate professor of Bryn Mawr College, Pennsylvania writing in the journal Brussels Studies, outlines a new model for a decentralised European capital based in Brussels and other host cities. In this article from the quarterly Integration of the Institut für Europäische Politik (IEP), Jo Leinen describes both the challenges and the added value of European political parties for the European Union. In an open letter to new MEPs, Tom Spencer from the European Centre for Public Affairs (ECPA), says lobbyists "are the ideal companions for your down moments"! The Idea Factory, a new European platform that aims to produce thought-provoking ideas, presents a controversial Manifesto for a new, pro-European political group. European Elections 1999-2004: A Shift in Europe’s Political Cultures ? In a review of the outcome of the last two EP elections, the author explores the roots of the political alienation of Europe's voters. This European Policy Brief by the Federal Trust considers the effectiveness of the recommendations in the draft Constitution aiming to reinforce the legitimacy of the EU, as put forward by the European Convention. This European Policy Brief by the Federal Trust considers the recommendations of the draft Constitutional Treaty for involving national parliaments more fully in European legislative arrangements.